Olympian Usain Bolt is coming to UMPI. The fastest man on earth is coming to the University of Maine of Presque Isle on Saturday, April 6, for sports clinic. The Jamaican sprinter will travel to northern Maine to greet community members and students during a sports clinic, which he will be running, no pun intended. The clinic will consist of speed and agility drills run by Bolt in Gentile Hall at 11 a.m. The event is free and open to everyone of all ages. Bolt will lead attendees through stretching and a warm-up before beginning the clinic. The nine-time Olympic gold medalist will then guide people through different drills and exercises to improve their speed. Throughout the event, Usain will interact and teach participants new ways to improve their form. “I am so excited for this event. It is not very often we get successful athletes coming to Maine, especially Olympians. 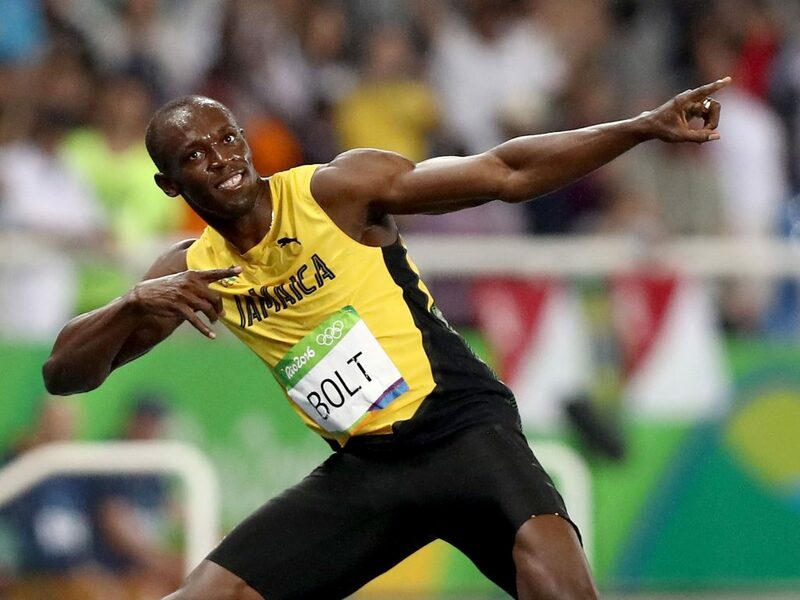 Usain Bolt is someone who we’ve all admired during the Olympics. This is definitely going to be a special clinic and the whole community is excited,” community member, Dash Levesque, said. Nicknamed the Lightning Bolt, Usain has competed in three Olympic Games, setting world records each time. His is the current world record holder in the 100-meter dash, 200-meter dash and the 100-meter relay. Bolt is an 11 time World Champion, receiving gold medals in numerous events from 2009 to 2015. During the World Championships, Bolt beat his own record in the 100-meter dash with 9.58 seconds. Now retired, he hopes to share his knowledge with people around the world, even northern Maine. This rare occasion will only be happening once, and you will not want to miss it. Join the world-renowned Usain Bolt for a once-in-a-lifetime experience to train with the greatest sprinter of all time at UMPI on April 6. Race you there! Next Next post: Pantry Thief!